How much is Sasheer Zamata Worth? 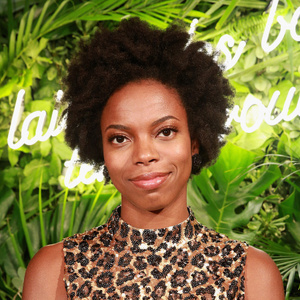 Sasheer Zamata net worth: Sasheer Zamata is an American actress and comedian who has a net worth of $1.5 million. Sasheer Zamata was born in Indianapolis, Indiana in May 1986. She is best known for being a cast member on the television series Saturday Night Live from 2014 to 2017. Zamata has served as a celebrity ambassador for the ACLU. From 2012 to 2013 she starred on the TV series Fodder. Sasheer Zamata starred on the series CollegeHumor Originals from 2012 to 2015 and on the series UCB Comedy Originals from 2013 to 2015. From 2013 to 2015 she starred as Sheer on the television series short Pursuit of Sexiness. She has appeared in the movies Sleigh, Yoga Hosers, Deidra & Laney Rob a Train, I Feel Pretty, and The Weekend. Zamata has starred as Michelle Obama, Tyra Banks, and Beyoncé Knowles in short films. She has appeared in episodes of the TV series Inside Amy Schumer, Transparent, People of Earth, At Home with Amy Sedaris, Loosely Exactly Nicole, and more. Saturday Night Live Salary: There are 21 episodes in a season. First-year cast members make $7,000 per episode, or $147,000 per season. Second-year cast members make $8,000 per episode, or $168,000 per season. If a cast member makes it to their fifth season, they make $15,000 per episode, or $315,000 per season. The highest salary that can be reached at SNL is for people who've been there the longest or are the most important to the show. They make $25,000 per episode, or $525,000 per year. 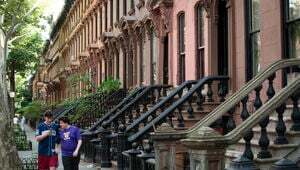 It is likely that Melissa Villaseñor's salary was on the lower end of that spectrum.